If I remember correctly I have been writing this type of article over the past 3 years. It’s always nice to hear a Nokia phone running the most popular smartphone OS in the world, Android. We have heard so many rumor regadring a Nokia Android phone over the years. What’s remarkable here is the rumor it not even stopped after Nokia is eaten by giant Microsoft! Today we have new rumor in our plate and it seems the Normandy rumors continue, suggesting the device might come to live against all odds. Last month we learned the codenamed Normandy device is supposed to be an entry-level Android smartphone under old Nokia management. The new leaks suggested Normandy will be reusing the iconic Lumia design and will come in a plethora of different colors, just like the affordable Asha and Lumia phones. Today the famous tipster evleaks has posted renders of Normandy running on Android. 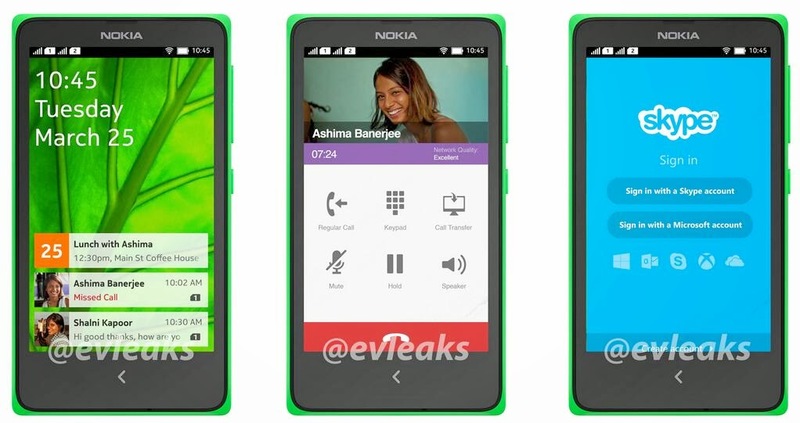 We get to see a glimpse of Nokia's launcher, particularly the lockscreen, Viber and Skype apps. Judging by the Normandy's status bar, this should be a dual-SIM phone. Another leaks from today sheds some more light on the alleged Normandy specs. As it turns out someone has put the Normandy through AnTuTu's test, so we can see some of its specs. 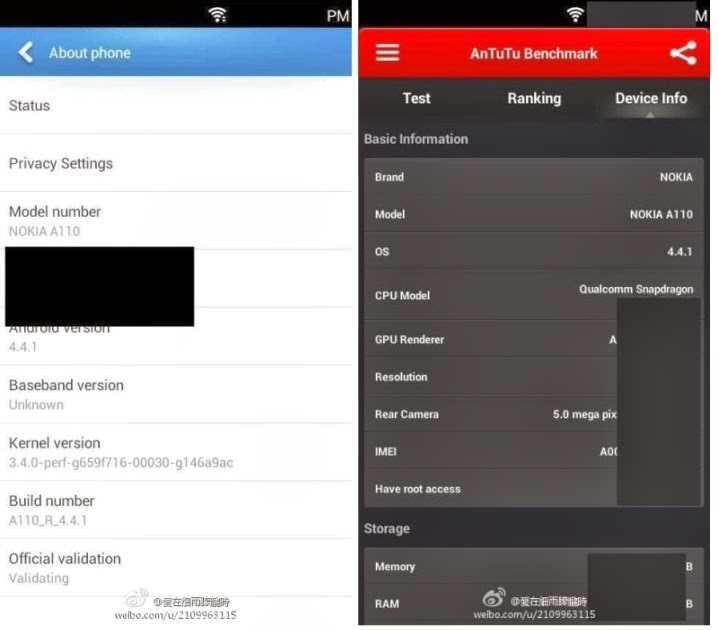 Nokia RM-980 A110 codenamed Normandy reported featuring a 4-inch FWVGA display (480x854 pixels), a 5MP rear camera and runs on Android 4.4.1 KitKat. Qualcomm Snapdragon CPU powered the handset to run the test. If Normandy is similar to the previously tipped "Mountain View" Android prototype, then it might be running on the Snapdragon 200 chipset (quad-core Cortex-A5/Adreno 203 or quad-core Cortex-A7/Adreno 302). Some recent rumors suggest the Normandy development is at "full steam ahead" and the smartphone is supposed to hit the shelves this year. Some go even further saying the team working on Normandy (Project N) will stay at Nokia and continue to work on it alongside other devices like Nokia SmartWatch after Microsoft's acquisition is completed. Personally I don’t believe any of these rumors. But it is also true that I will be delighted most I am proved wrong later. Maybe there is something going on at Nokia and some of this is happening, but maybe there isn't. In fact there is a good chance somewhere on the way a tiny rumor has completely gone out of control feeding on the hopes of the loyal fans.